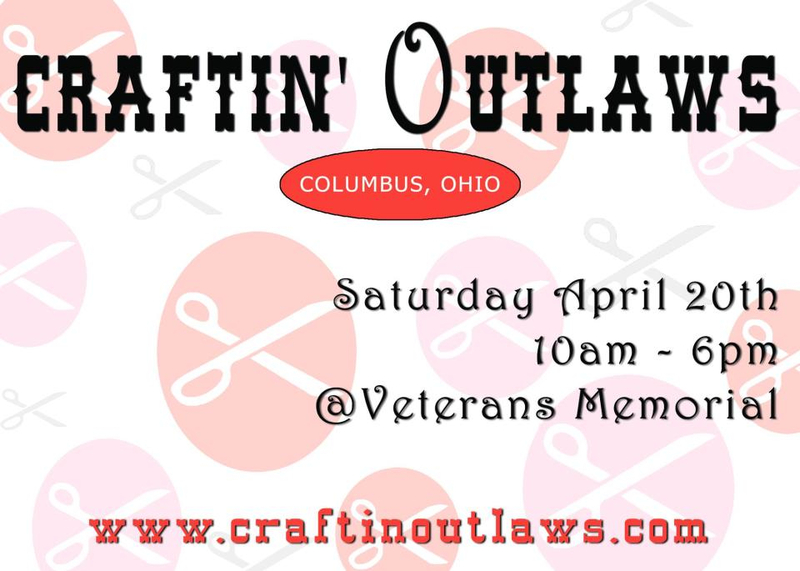 Craftin’ Outlaws alternative craft fair presents its first ever spring event on Saturday, April 20 from 10:00 a.m. to 6:00 p.m. in the West Room of Franklin County Veterans Memorial. Admission is free and all ages are welcome. 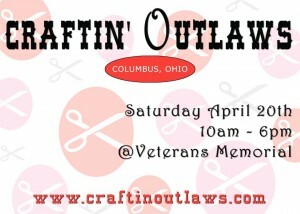 With 75 vendors from Central Ohio and the Midwest, Craftin’ Outlaws is one of the only craft events of its kind. Modern handmade goods will be available for sale, including clothing, handbags, jewelry, paintings, posters, ceramics, knitted accessories, plush creatures, bath and body items, letterpress stationery, and home décor. 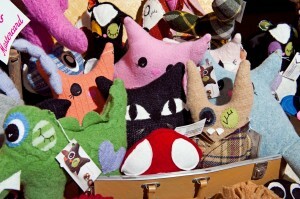 A complete vendor list will be posted to craftinoutlaws.com on March 10. For the past eight years, Craftin’ Outlaws has held a craft fair in the fall. This marks the first year that it will host spring and fall events. More than 2,000 people typically attend each fair. Concessions will be available for sale and the first 100 guests will receive a limited edition Craftin’ Outlaws poster created by Igloo Letterpress. People can play the game Plinko for chances to win donated prizes from participating vendors and sponsors. Proceeds from Plinko will be donated to Project: Zero Ohio, an organization that supports Central Ohio HIV/AIDS patients. CD102.5 FM representatives will hand out prizes from a spinning wheel. Jessica Miller Photography will provide a photo booth.A stroller station will be set up for parents with young children, and a deejay will spin tunes courtesy of Wholly Craft. Franklin County Veterans Memorial is located at 300 West Broad Street. Parking costs $7. Craftin’ Outlaws is an annual alternative craft fair in Columbus, Ohio that aims to support independent artists and provide an alternative to mass-produced products. 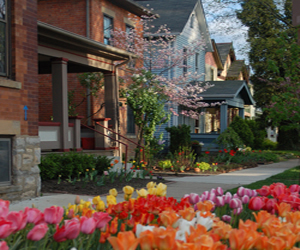 Founded by Liz Rosino in 2005, it’s the largest and longest running fair of its kind in Ohio. To learn more, visit craftinoutlaws.com.